Saving a bank or credit union as a target will save the institution to your own personalized target list. Targets will come and go as new numbers come in, so we make it easy to add and remove these. 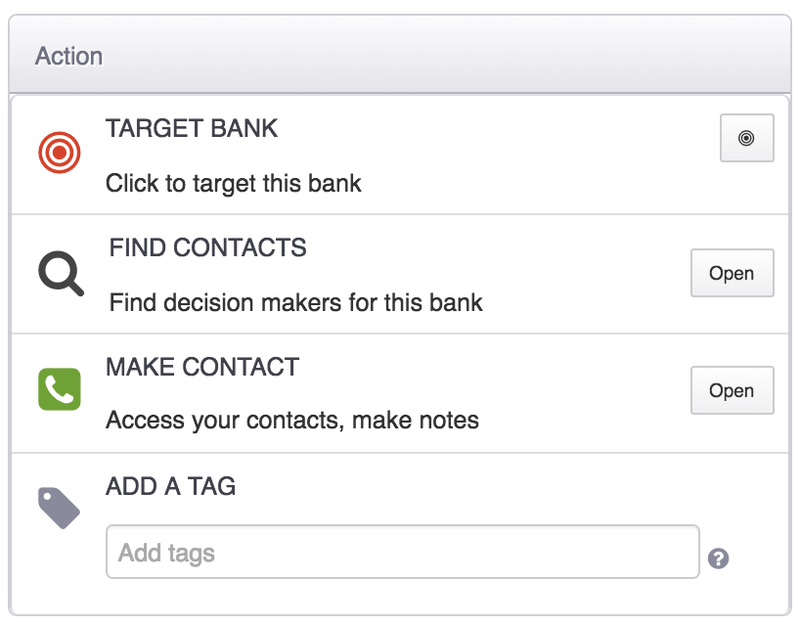 To add a Target from an individual bank or credit union page, you'll just click the Target icon in the right hand Action Control Panel menu. To Target a bank from any results list, just click the target icon to the left of the bank name. Removing targets is just as easy-- simply uncheck the target box. You can access your targets at any time by visiting the Targets section in the top menu. 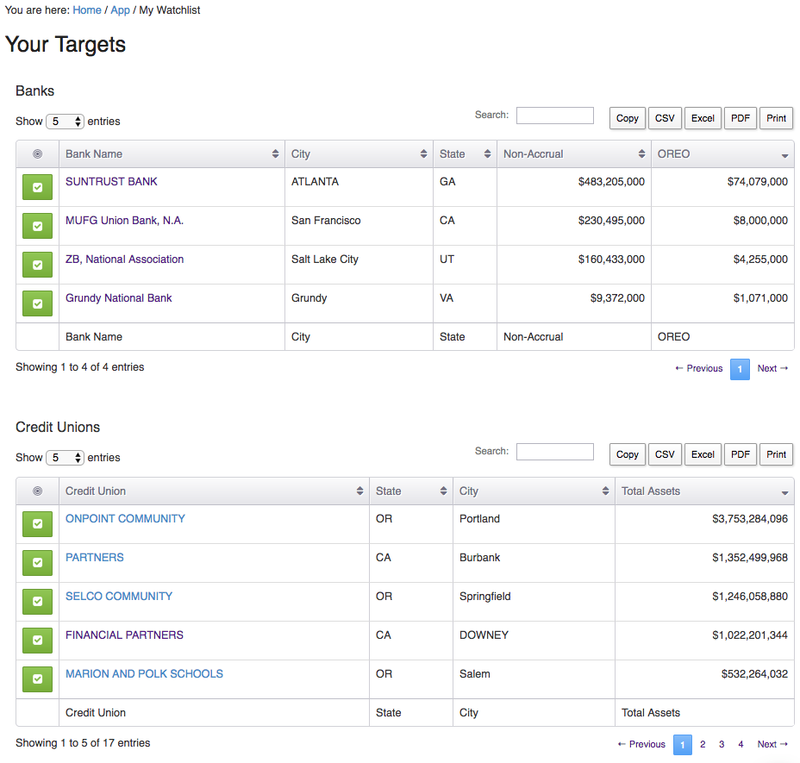 You'll have separate target lists for the banks and credit unions because they report on different data... but both target lists will be displayed here. You can also remove targets from this page by unchecking the green checkbox.